If Europe’s 21 leading trade magazines with an editorial focus on digital print processes, united in the European Digital Press Association (EDP), yearly honour the best technological developments with the popular EDP Awards, these are selected according to criteria like achievement, quality and costs. Thus the EDP Awards offer orientation and give a neutral recommendation for purchase decisions. 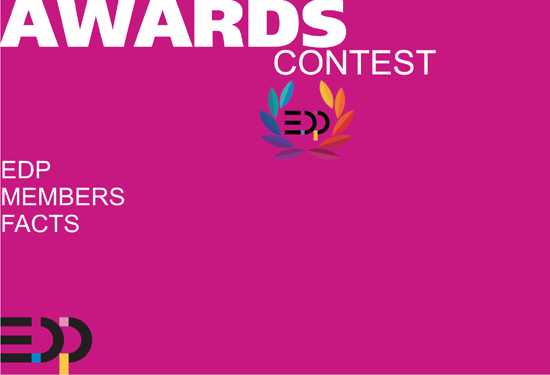 The EDP Awards are an open contest for all products without any limitation or provenience. All new products and developments announced or presented within the last 12 months and available for testing by the EDP jury members are entitled to participate. The EDP Awards honour the best of them. Out of more than 120 entries in 2018 the EDP Technical Committee finally selected 29 products as EDP Award winners within eight main categories. The results will also be published in the EDP Report 2018. The 21 EDP member magazines all over Europe, covering 27 countries and reaching more than half a million readers in Europe (only on the printed magazines), congratulate the Award winners and finalists and thanks the participants and submitters for their cooperation.